The best wall calendar design for the fresh and fit kind! Luscious and lovely watermelon slices on a bright yellow background are sure to brighten up your day! 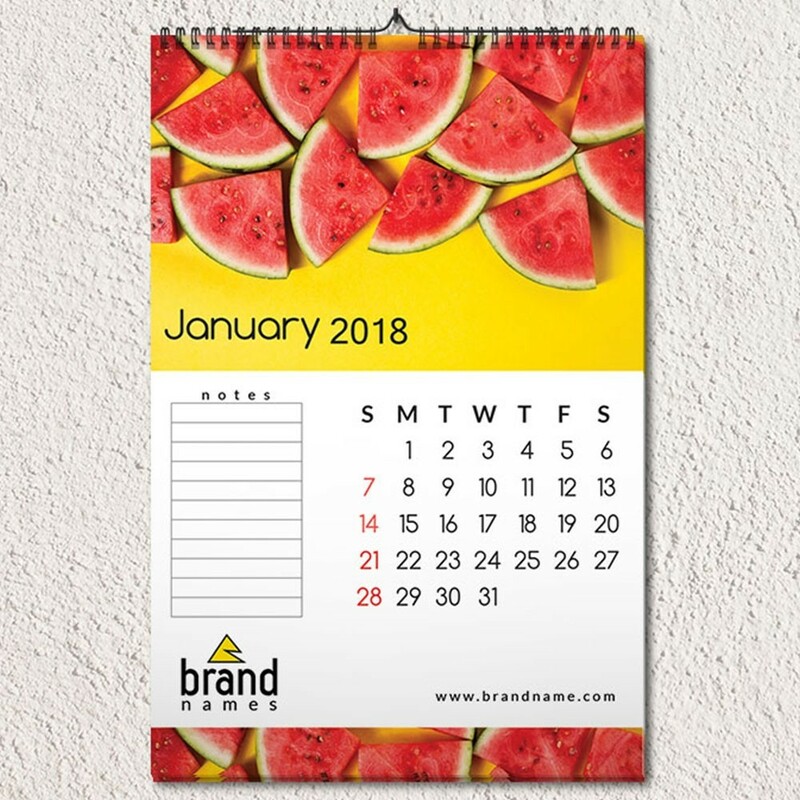 Would be great for complimentary business gifting if you’re a gym, supermarket, grocer or a fresh produce supplier!This corporate calendar design would look great on your wall. The design features a space for adding your brand’s logo and website URL. Alternatively, you can add your name and remember to munch on a slice in Summer ’18! You also have a little notepad-type space on the left to help jot down a few important dates/events.